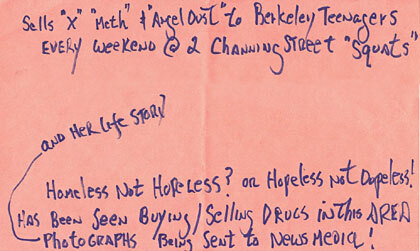 From the magic newspaper box at 27th and Broadway. It looks like there’s supposed to be a photo of one of the angel dust dealer (didn’t angel dust disappear by the end of the 70s?) but, alas, we’ll never know who to look for. Sadly, the East Bay Express box has only had newspapers in it of late, but I always check just in case.